Over the Rainbow is my most favorite song ever! 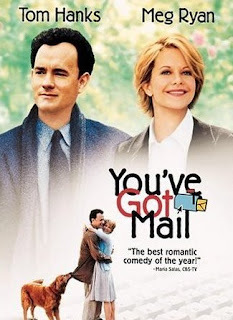 It doesn't really remind me of "Wizard of Oz" as much as it reminds me of my most favorite movie, "You've Got Mail". At the end, when Tom Hanks and the adorable Meg Ryan meet up in the park and she doesn't know whether to smile or cry, they play the most beautiful version of this song. I absolutely LOVE that part. I cry every time, I could cry right now just thinking about it! I have many versions of this song, but this one by Martina McBride is one of my favorites. She is my favorite country singer, and she has an amazing voice doesn't she?